On Friday, June 3, 2016, we celebrated our 49th wedding anniversary!! We’ve been together for 59 years (since we were 13 years old)!! Read the preview and order today!! Makes a GREAT addition to a bridal shower gift!! They’ll BOTH thank you!! Here’s the Amazon link: http://goo.gl/pDLCl0 . Black History: Edward A. Bouchet, First African American Ph.D.
Edward Alexander Bouchet (1852-1918) graduated as valedictorian of the Hopkins Grammar School class of 1870. Bouchet was also among 20 Americans (of any race) to receive a Ph.D. in physics and was the sixth to earn a Ph.D. in physics from Yale. After graduation, Dr. Bouchet’s demonstrated brilliance and credentials did not afford him the opportunities (such as positions in research, or at top universities) typically available to people of his unusually high level of education—undoubtedly due to racism. He spent the rest of his life as a well-respected teacher. He taught chemistry and physics for many years at the Institute for Colored Youth, a Quaker institution in Philadelphia. Later on, Dr. Bouchet taught at St. Paul’s Normal and Industrial School in Virginia, served as principal of Lincoln High School in Galipolis, Ohio, and was a professor at Bishop College in Marshall, Texas. He also held the position of business manager for a hospital in St. Louis and worked for a short time as a U.S. Customs Service inspector. He retired from college teaching in 1916 and lived in New Haven for the last two years of his life. Each year, the American Physical Society bestows the Edward A. Bouchet Award upon an African American, Hispanic American or Native American physicist who has made remarkable contributions to physics. The Edward Bouchet Abdus Salam Institute was founded in 1988 by the late Nobel Laureate, Professor Abdus Salam under the direction of the founding Chairman Charles S. Brown. In 2005, Yale and Howard Universities founded the Edward A. Bouchet Graduate Honor Society. The 2016 Edward A. Bouchet Award recipient was Pablo Laguna, Georgia Institute of Technology. If you’re going to buy gifts, remember that books make great gifts—ANYTIME!! Get some from GoodShortBooks.com!! Something for adults AND children!! $7.99 – $12.99. eBooks $1.99 – $2.99. Often it takes something major to wake us up, to shake us loose from our ego’s grip as it struggles to maintain an illusion of control. In life, most of us want things to go to the places we have envisioned ourselves going. We have plans and visions, some of them divinely inspired, that we want to see through to completion. We want to be happy, successful, and healthy, all of which are perfectly natural and perfectly human. So, when life takes us to places we didn’t consciously want to go, we often feel as if something has gone wrong, or we must have made a mistake somewhere along the line, or any number of other disheartening possibilities. This is just life’s way of taking us to a place we need to go for reasons that go deeper than our own ability to reason. These hard knocks and trials are designed to shed light on our unconscious workings and deepen our experience of reality. Often it takes something major to wake us up, to shake us loose from our ego’s grip as it struggles to maintain an illusion of control. It is loss of control more than anything else that humbles us and enables us to see the big picture. It reminds us that the key to the universe lies in what we do not know, and what we do know is a small fraction of the great mystery in which we live. 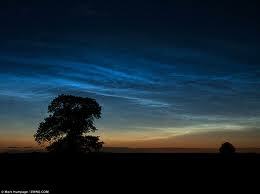 This awareness softens and lightens us, as we release our resistance to what is. Another gift gleaned from going to these seemingly undesirable places is that, in our response to difficulty, we can see all the patterns and unresolved emotional baggage that stand in the way of our unconditional joyfulness. Joy exists within us independently of whether things go our way or not. And when we don’t feel it, we can trust that we will find it if we are willing to surrender to the situation, moving through it as we move through our difficult feelings. We can take our inspiration from any fairy tale that finds its central character lost in a dark wood, frightened and alone. We know that the journey through the wood provides its own kind of beauty and richness. On the other side, we will emerge transformed, lighter and brighter, braver and more confident, for having moved through that darkness. 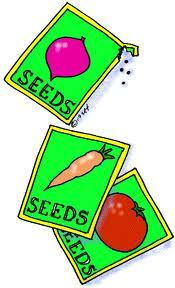 One man, named Jim, was there that day and he, like the others, received a seed. He went home and, excitedly, told his wife the story. She helped him get a pot, soil, and compost, and he planted the seed. Every day, he would water it and watch to see if it had grown. After about three weeks, some of the other executives began to talk about their seeds and the plants that were beginning to grow. Three weeks, four weeks, five weeks went by—still nothing. By now, others were talking about their plants, but Jim didn’t have a plant and he felt like a failure. Six months went by—still nothing in Jim’s pot. He just knew he had killed his seed. Everyone else had trees and tall plants, but he had nothing. Jim didn’t say anything to his colleagues, however. He just kept watering and fertilizing the soil. He so wanted the seed to grow. Jim felt sick at his stomach, it was going to be the most embarrassing moment of his life, but he knew his wife was right. He took his empty pot to the board room. When Jim arrived, he was amazed at the variety of plants grown by the other executives. They were beautiful—in all shapes and sizes. Jim put his empty pot on the floor and many of his colleagues laughed. A few felt sorry for him! “My, what great plants, trees, and flowers you have grown,” said the CEO. Jim couldn’t believe it. Jim couldn’t even grow his seed. How could he be the new CEO, the others said. “But I gave you all boiled seeds; they were dead—it was not possible for them to grow. All of you, except Jim, have brought me trees and plants and flowers. If you plant unselfishness, you will reap admiration. Sow good things daily into the life of your family! 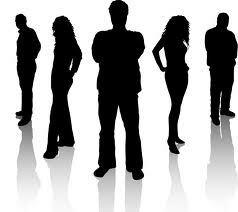 A mirror reflects a man’s/woman’s face, but what he/she is really like is shown by the kind of friends he/she chooses. The simple but true fact of life is that you become like those with whom you closely associate—for the good or the bad. Anytime you tolerate mediocrity in others, it increases your mediocrity. An important attribute in successful people is their impatience with negative thinking and negative-acting people. With some people you spend an evening; with others you invest it. Wise is the person who fortifies his/her life with the right friendships. If you see people without a smile today, give them one of yours. Choose to rise…Don’t settle…and go for your dreams! And most of all, let God lead you in everything you do!! Billy ran to his room to put on his clothes and shoes. His mother took one look at him and said, “Where are your shoes? And those clothes are all wrinkled, son. I must iron them.” However, when she reached for the ironing board, it was no longer there. “Oh, well,” she said, “please go and do something to your hair.” He ran in his room to comb his hair, but the comb was not there. You see, Walter Sammons, a black man, invented the comb. Billy decided to just brush his hair, but the brush was gone, too. You see Lydia O. Newman, a black female, invented the brush. Well, this was a sight: no shoes, wrinkled clothes, hair a mess. Even Mom’s hair, without the hair care inventions of Madam C. J. Walker. . .well, you get the picture. Mom told Billy, “Let’s do our chores around the house and then take a trip to the grocery store.” Billy’s job was to sweep the floor. He swept and swept and swept. When he reached for the dustpan, it was not there. You see, Lloyd P. Ray, a black man, invented the dustpan. Mom asked Billy to go get a pencil and some paper to prepare their list for the market. So, Billy ran for the paper and pencil but noticed the pencil lead was broken. Well, he was out of luck because John Love, a black man, invented the pencil sharpener. As a matter of fact, Lee Burridge, a black man, invented the typewriting machine and W. A. Lovette, a black man, invented the advanced printing press. Billy and his mother decided just to head out to the market. Well, when Billy opened the door, he noticed the grass was as high as he was tall. You see, John Burr, a black man, invented the lawn mower. They made their way over to the car and found that it just wouldn’t go. You see, Richard Spikes, a black man, invented the automatic gearshift, and Joseph Gammel, a black man, invented the supercharge system for internal combustion engines. They also noticed that the few cars that were moving were running into each other and having wrecks because there were no traffic signals. 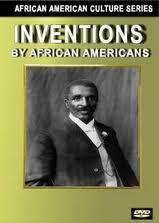 You see, Garrett A. Morgan, a black man, invented the traffic light. By this time, Billy noticed he was getting mighty cold. Mom went to turn up the heat, and what do you know? No heat! Alice Parker, a black female, invented the central heating furnace. And in the summertime, they would have been out of luck trying to cool the house because Frederick Jones, a black man, invented the air conditioner. It was almost time for Billy’s father to arrive home. He usually takes the bus, but there was no bus, because its precursor was the electric trolley, invented by another black man, Elbert R. Robinson. He also usually dropped off the office mail at a nearby mailbox, but it was no longer there because Philip Downing, a black man, invented the letter drop mailbox, and William Barry invented the postmarking and canceling machine. Billy and his mother sat at the kitchen table with their heads in their hands. When the father arrived, he asked, “Why are you sitting in the dark?” Why? 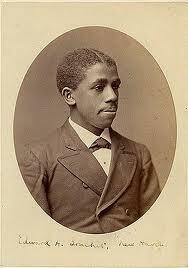 Because Lewis Howard Latimer, a black man, invented the filament within the light bulb. Billy quickly learned more about what it would be like if there were no inventions by black people in the world, especially if he were ever sick and needed blood. Dr. Charles Drew, a black scientist, found a way to preserve and store blood, which led to his starting the world’s first blood bank. Well, what if a family member had to have heart surgery? This would not have been possible without Dr. Daniel Hale Williams, a black doctor, who performed the firstsuccessful open-heart surgery. So, if you ever wonder, like Billy, “where would we be without the inventions of black people?” think about these inventors and their inventions—and these are just a few! I remember times when things went wrong. If you’re going to buy gifts, remember that books make great gifts—ANYTIME!! Get some from GoodShortBooks.com!! Something for adults AND children!! Paperbacks from $7.99 – $12.99; eBooks from $1.99 – $2.99.